Want to view an individual gig's reporting recap rather than look at all of them aggregated together? Simple! Let's see how. 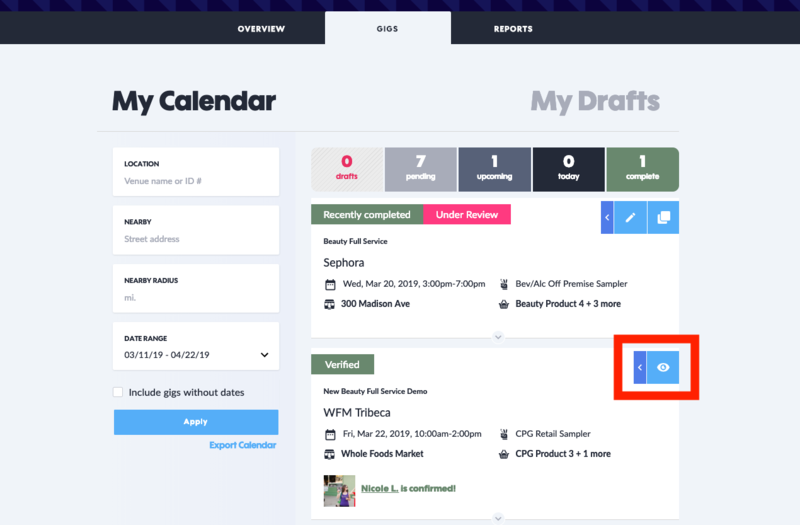 On your dashboard under the GIGS tab, view "My Calendar"
Find a gig in the past that is "Verified" that you'd like to review. 4. View the gig report. You can expand the thumbnail photos by clicking on them. Note: Only "verified" gigs will display field reports. 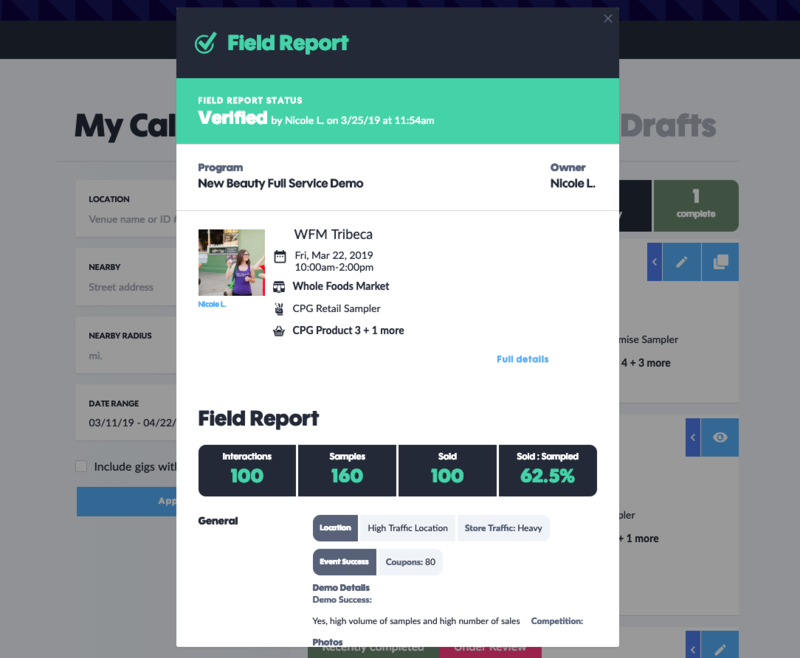 If you are a self-service customer, you may also edit your Field Reports before they are verified. Once verified, they will change to this new display.